Play all your favourite Nintendo franchises in HD and bring the family together in brand new ways. Discover all of the features that make Wii U a unique games console that's perfect for the whole family. Wii U features a touch screen built into its GamePad controller, providing a second window into your gaming experience and allowing for new and innovative single and multiplayer gameplay. Its unique Off-TV Play function allows you to play selected games without the need of the TV screen, so you don't have to switch off when a family member wants the telly for themselves. Wii U is the only games console to bring you Nintendo's world famous brands in up to 1080p high definition. Mario, Zelda, Pikmin and more have never looked so good. 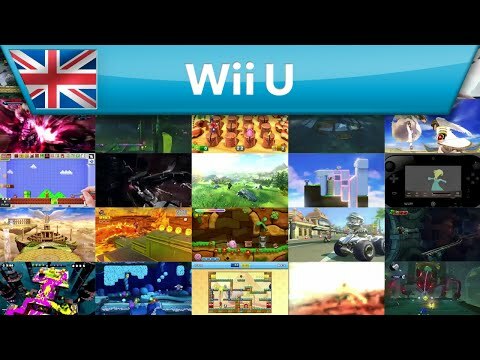 Wii U plays almost all Wii games and works with all of your old Wii controllers. You can also carry over your game saves, WiiWare titles and Virtual Console games from your old Wii to your new Wii U. It's also compatible with original Wii controllers such as the Wii Remote and Wii Balance Board. Miiverse is a brand new network service that brings players together. You can use Miiverse to link up with your friends, join special communities, hear directly from game developers, and even share your own handwritten messages and pictures drawn using the GamePad touch screen! Nintendo eShop allows you to buy and download any Nintendo Wii U game, including indie games exclusive to eShop and a wealth of NES and Super NES classics, via Virtual Console. Wii U features a number of non-gaming applications including Netflix, Amazon Instant Video and YouTube. All of which take full advantage of the GamePad's second screen.